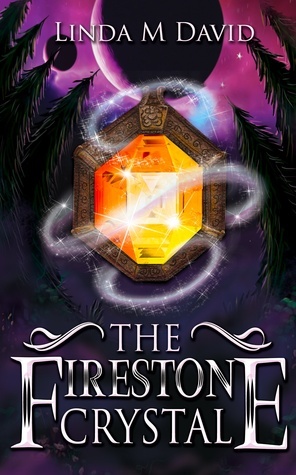 I thoroughly enjoyed this young adult fantasy book. I have read all my life any and every genre I can get my hands on. It took me back to being a teen with all those burgeoning friendships and confidences. I look forward to a follow on book. LindaDavid - Linda David was born in Cyprus in 1967 to parents who both hail from the Caribbean island of Nevis, and has also lived in Germany as well as St Kitts and Nevis in the West Indies.The idea for the book, The Firestone Crystal, came about 10 years ago when she was on maternity leave, and started off as a short story that she would be able to read to her children when they were older. It continued to grow as she occasionally added a chapter here and there as the years went by, eventually turning into full-length novel.She has always enjoyed reading and was encouraged to do so from a very early age, and that is partly what inspired her to write. Even today, she can remember the excitement and wonder she used to experience as a child when reading fantasy and adventure stories, and she hopes that through her writing, she will be able to inspire and encourage other children's interest and pleasure in reading as well.